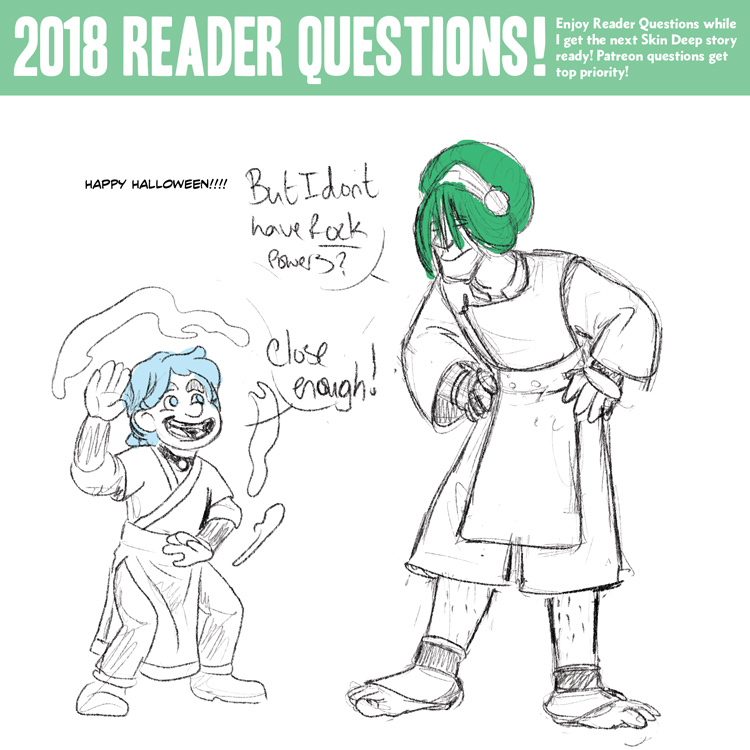 There is no way that Colin wouldn’t want to dress up as Katara for Halloween and there’s no way that he wouldn’t bully Jim into being Toph, so enjoy. Are there any cool Russian creatures? Jim ROCKS the Toph look, though! Hopefully Halloween isn’t cold and windy in Liberpool. Argh, “Liverpool”. Can’t edit darn it. I wonder what trick or treating would be like in the avalon? people as other people? people as humans…? who knows! Happy Halloween. Hope you don’t get rained on. Wouldn’t forcing Jim to dress in a swampbender loincloth be more humiliating? Jim isn’t so much Toph as he is the Ember Island Player who played Toph. Now he gets to go around screaming at people and throwing rocks. Who wouldn’t want to get to do that for Halloween? Jim needs to wear a fake-muscle outfit underneath to fill out the costume, then. Jim’s a lanky lad.